I didn't have time to post yesterday - Wednesday, so here are my WIP's today. Secondly is the Seamless Yoked cardigan, knitted on circulars in one piece. I am using a small circular for the sleeves rather than DPN's. 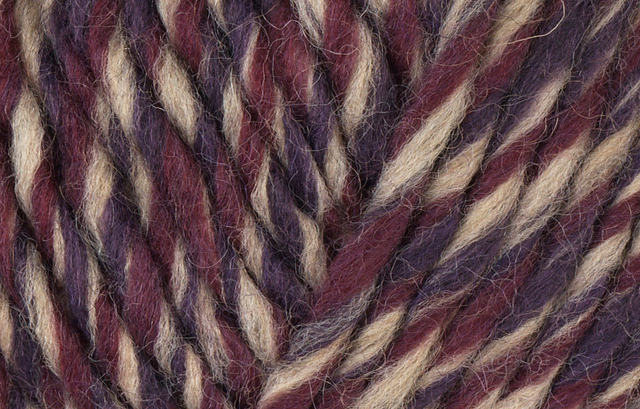 Its knitted in Sublime Baby Cotton Kapok DK in colour way Milkshake, this is so soft and washes well. This will be a gift. I looked at all the ten stitch projects on Ravelry. Wow, that looks like a popular pattern. Yours is looking nice with the marl-y yarns. Comments written on your and other people's blogs while on the Facebook Page don't register. I love the colours of your ten-stitch. Rufus should be well pleased with it. The little cardigan is delightful. Knittng with circulars is good - no seaming. I agree that buying on Monday doesn't count as 2013. Just wondering what you will make with it. Another ten stitch or jumpers for Rufus and Laurie? I take it Peter doesn't get a look in? I also like your idea of linking your makes to your Ravelry Projects. I might pinch that idea from you. Listing my projects is waaaaay behind. You are teaching that boy to be a super knitter considering you've got him playing with needles AND he's excited about the things you make. You may be training the next big knit-wear designer. I think it is so sweet that you are making the Ten Stitch for your little grandboys. love the classic look of the yoked cardigan! very pretty. I love the seamless yoked pattern - it is my go to baby sweater pattern. I am dying over that blanket! Thanks for linking to the pattern; that looks like a good way to eat up some of my worsted yarn stash!